We will pay for any Mini, MG/Rover and Land Rover Freelander models and as an authorised treatment facility (ATF) you can be assured your vehicle is dismantled in accordance with Government legislation and in an environmentally friendly way. We pay on delivery for any model of Mini, MG/Rover and Land Rover Freelander and will make the process of scrapping your car as safe, quick and easy as posible. Local collection can be arranged. For an up to date price for your vehicle for scrapping please complete the form below or contact us. 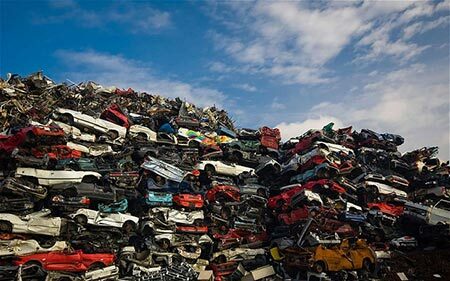 We are an authorised treatment facility (ATF) therefore we will ensure your vehicle is dismantled in accordance with Government legislation and in an environmentally friendly way – this includes de-polluting the vehicle and recycling as many parts as possible. We will also issue a Certificate of Destruction (CoD) on site which you should retain as proof that the vehicle has been destroyed. If you don’t use an ATF to scrap your car it may not be done in accordance with legal requirements and as the last registered keeper you could still be responsible for the car. 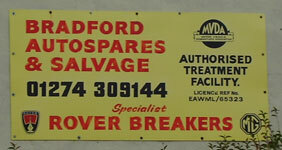 In the worst scenario a rogue scrapping company may not actually scrap your car but you would still be liable for it! If you would like to scrap your car or would like more information please complete the form below or contact us.